“If you’ve got a dream you gotta protect it. When people can’t do something themselves they try and tell you that you can’t do it. If you want something, go get it. Period.” – Pursuit of Happiness. 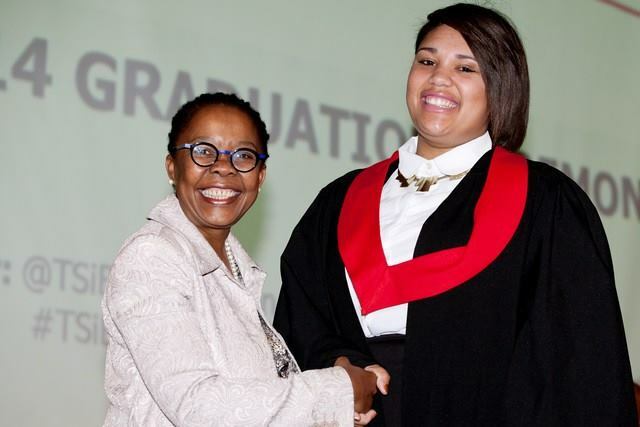 Courtney, a Future Stars participant is currently living in Mitchells Plain, Cape Town and am studying at the Tertiary School in Business Administration (TSiBA Education) in Pinelands. Courtney shares some inspirational and practical insights about student life and how Future Stars added value to her student career. Often we wish we had the knowledge we have now, back when we were in school – what’s your take on that Courtney? Honestly, there’s nothing that I wish I knew back when I was in high school except that everything would fall into place. I believe that each achievement that I have received or goal that I reached was all about taking risks and putting me out there. Nothing can prepare you for the future; nothing can prepare you for the real world. Only by making mistakes, taking chances and learning from each experience will we truly be able to see the strengths of your character. If I had known anything back then I would not be the person that I am right now. As long as you protect, believe and work towards your dreams it will all be as it should. “Teachers say the darndest things” – What stuck with you? In grade 11 I had an Afrikaans teacher, her name was Mrs. Damon. She always called friends and me the “disco at the back “because we often tended to be quite bubbly. However, each and every day she would tell us that “Hoe meer jy by die skool doen, hoe minder doen jy by die huis” translated it means “the more you do at school, the less you’ll do at home”. This really proved itself at varsity because the more work you got done at campus, the more lectures and effort you put in at campus – the less stress you had when it came to submission dates and exams. And I’ll always remember that quote because in 2012 she became my class teacher and it was emphasized even more. What your goals are for 2015 and how are you planning to take them on? 2015 has so much in-store where goals are concerned. Firstly,a few other students and I have started a student company and I would really love for it to be quite successful in the next few years. I plan on doing so, by constantly engaging with the team and being part of the motivators within the team in order for our company to thrive. Also, I have taken up the opportunity to mentor a high school student. I am planning on helping her develop and achieving many of the goals which she has achieved. My goal is to be 100% present within her life and give her the support in mentoring which I have previously had. Then, continuing my work within disadvantaged communities. I am planning on remaining very committed to the peer educators program which I was always involved with and exposing the high school students involved to various other environments – such as the entrepreneurial one. Campus can become like home…and so much more. What’s your first hand experience? I wouldn’t call it campus, Id call it home. This is where I’ve met so many inspirational young individuals and students. I consider each of them as a member of my family. “Tsibalings” as we’d call it. Where would I start to describe such an amazing institution? Tsiba is truly a place where your dreams are made and brought to reality. Everyone is so supportive and friendly. Literally no one would pass you without a “hello”. I believe that this institution was created with a vision in mind; they were the seeds of change. And we as students have to grow and branch out from these seeds and let our flowers fall amongst the rest of South Africa. We are based on entrepreneurial leadership which fulfills the quote “see a need, fill a need” in more ways than one.Tsiba is also all about paying it forward. Everyone gives back and are change drivers within their communities. My heart breaks to think that next year will be my fourth and final year at TSiBA, I truly found myself through this institution. After your experience with Future Stars, why would you recommend it to other students? What’s in it for them? This is such an amazing competition. I had the opportunity to meet various inspirational individuals from all across South Africa. It’s so great to interact and take part in a competition that cares for more than just the students itself but also the impact they are making in the country. Future Stars has definitely boosted my confidence in the sense that I am not afraid to enter competitions anymore. I always thought that I would never be a finalist for such a huge competition, but I was. And even people around campus were so intrigued by the competition and said that they would like to enter it themselves. I feel that all students should enter Future Stars 2015 and experience it for them. It was such an exciting journey.